Celebrating Singapore Shores! : 13 June (Wed): FREE Public Talks on Seagrass! 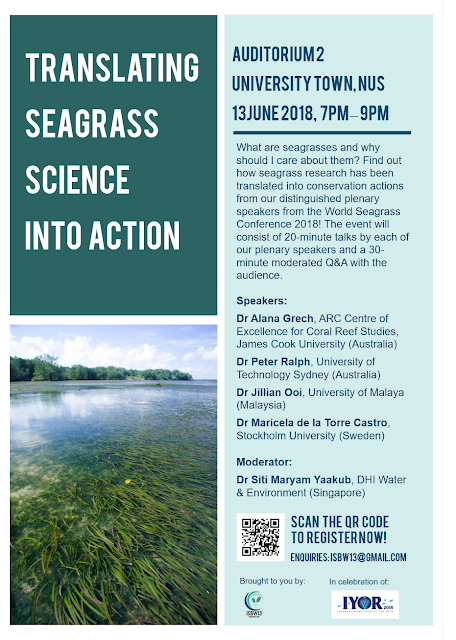 FREE public talks organised by the team at the 13th International Seagrass Biology Workshop for this special series of public talks titled "Translating Seagrass Science Into Action". 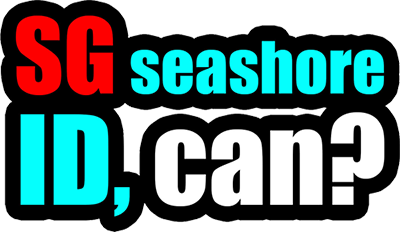 Synopsis: What are seagrasses and why should YOU care about them? Find out how seagrass research has been translated into conservation actions from a distinguished panel of four plenary speakers from the World Seagrass Conference 2018! The event will consist of 20-minute talks and a 30-minute moderated Q&A with the audience. The talks will be held at the University Town, NUS on 13 June 2018 (Wednesday), 7-9pm.